This large family home offers the opportunity to spend a holiday with family or friends, one or two weeks vacation or even the weekend, close to the center of the historic city of Vannes. 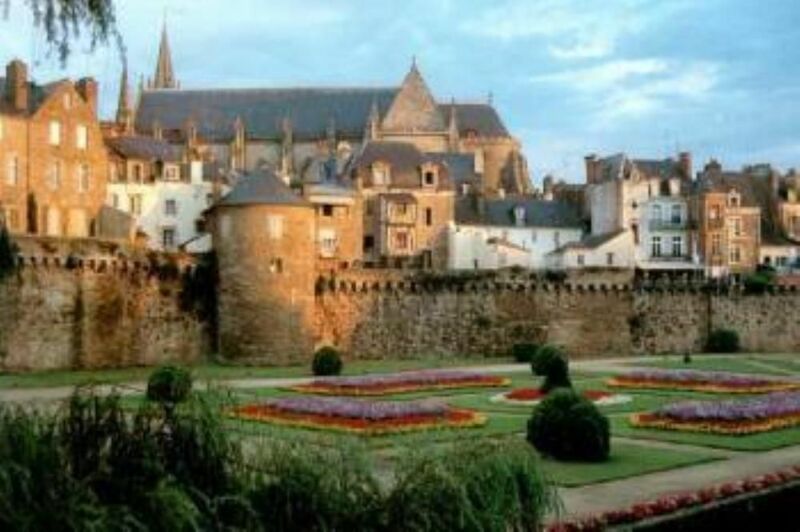 It is located just 500 meters from the market, restaurants, many activities of the port and 5 km from the Gulf of Morbihan. From the house you can go on bike paths. (possibility of renting). You can also plan many cruises from Port-Blanc to Belle-Ile, Houat, Hoedic, Ile aux monks ... The house consists of 6 rooms with a possibility of 13 beds (including 1 baby). Large living room with wood paneling overlooking terrace and garden (closed wall), dining room (table can count 20 seats), large kitchen, 2 bathrooms, large mezzanine. Baby equipment and board games made available. Electric gate, and parking space. (3 rooms overlooking street and 3 garden side). The very neat decoration reflects the spirit of the old Breton families that the owners wished to give to the house. Le confort comme à la maison!! Maison spacieuse lumineuse et très agréable à vivre. La cuisine est grande et très fonctionnelle. Le jardin et la terrasse sont un vrai plus pour ce gite en centre ville, à seulement 5/10 min à pied du marché. L'atout de cette location se trouve dans l'accueil et la gentillesse des propriétaires qui savent être toujours disponibles en cas de besoin. C'est bien simple nous y retournons chaque année!! Nous vous recommandons vivement cette location pour un séjour ressourçant et pleins de bons souvenirs!! LCV. Documentation and practical information made available at the handing over of the keys.